Friday, April 26th at Roger’s Roost, Sterling Heights. Come & join us for an evening of fun! Click here to purchase tickets. 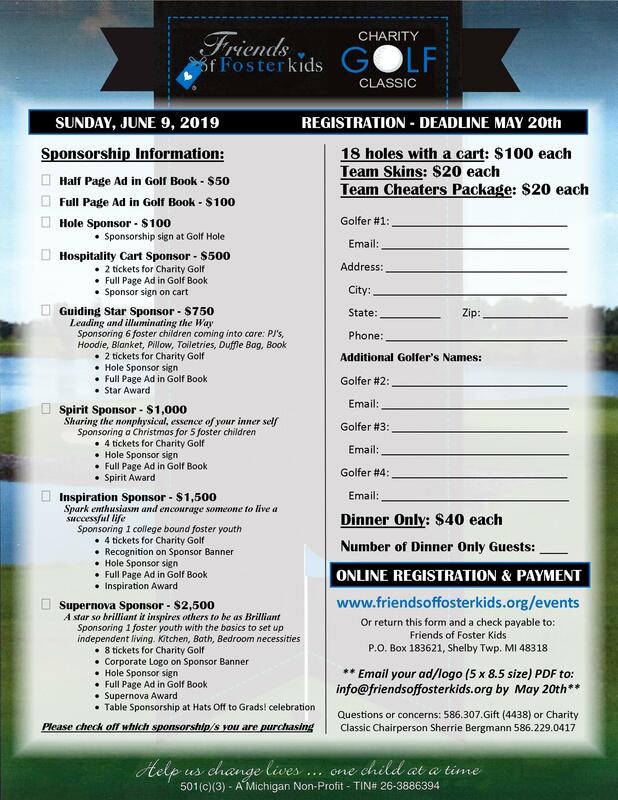 Friends of Foster Kids is very excited to announce our 1st Annual Charity Golf Classic on June 9, 2019 at Greystone Golf Club in Washington, MI. 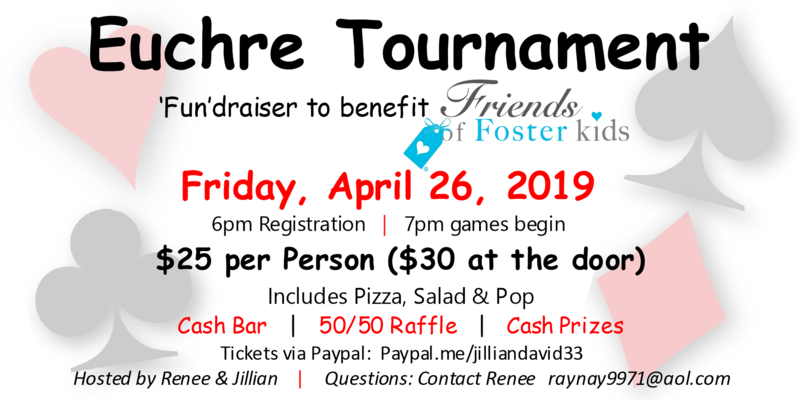 Charity Golf Classic proceeds directly fund Friends of Foster Kids programs, impacting the lives of thousands of local foster children since 2008. 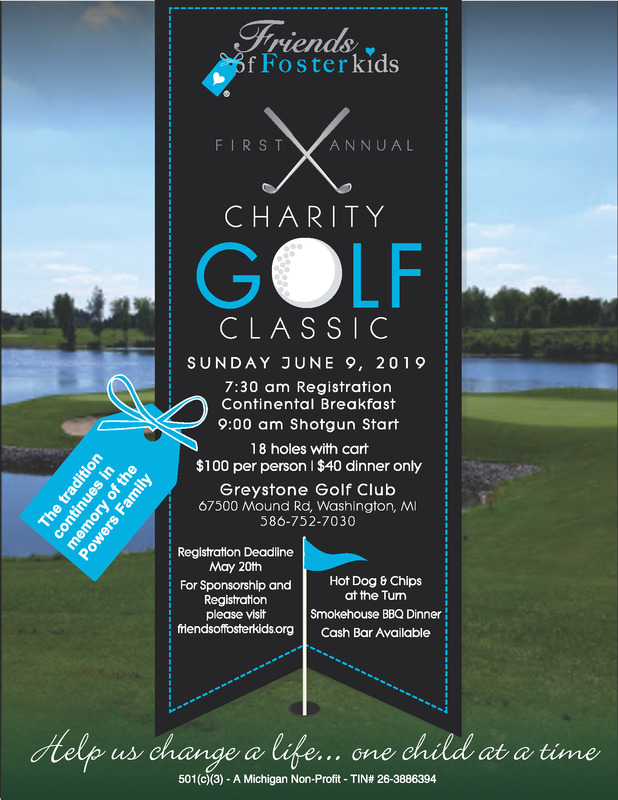 Deadline to register is May 20th | Online Registration & Sponsorship form, click here! For those that wish to download, print and mail in registration & payment, click here.